The theme for April's Polish Pick Up is Across the Universe - Planets & Galaxies. 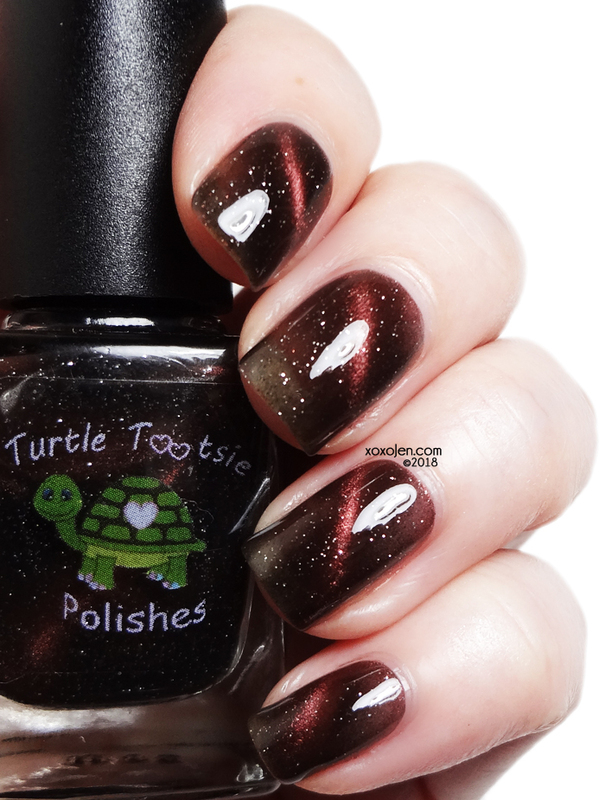 Chrissy from Turtle Tootsie created a magnetic galaxy in a bottle! It even comes with a magnet! a dark chocolate brown magnetic polish that shimmers a light brown when using the included magnet to bring the pigment to the surface. It’s accented with silver holographic micro glitter. Photos show two coats, and the formula was great! I looked up the name of this polish to see what it means. In case you're curious too, here is what I found! a large meteor that explodes in the atmosphere. 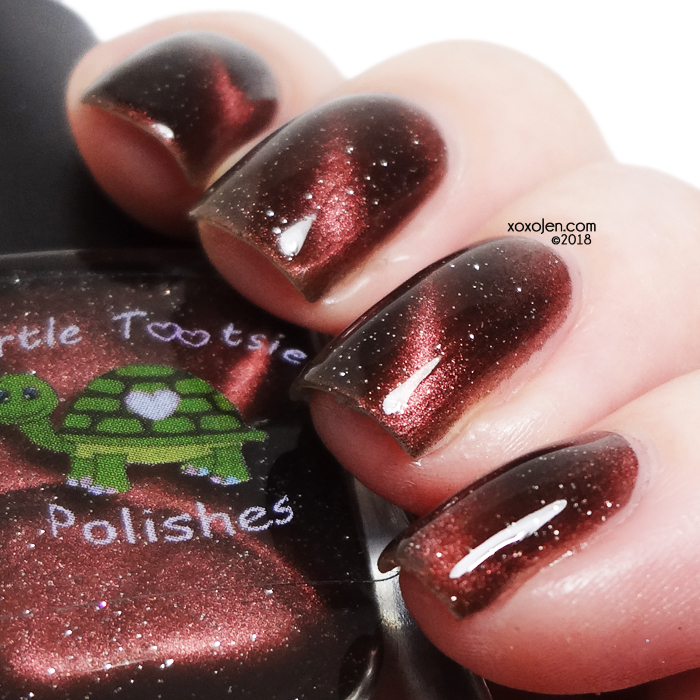 Turtle Tootsie's Bolide polish will be available 04/06/2018 – 04/09/2018 at https://www.polishpickup.com. The polish is capped at 500.